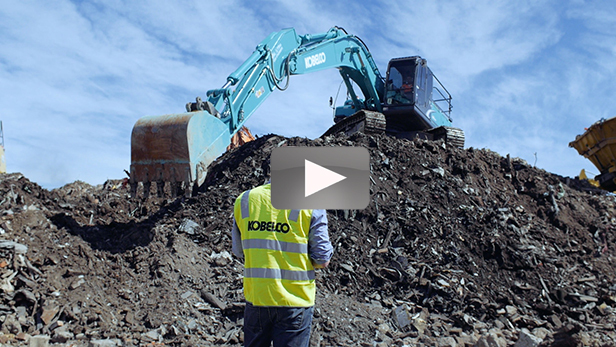 The greatest effect of KOBELCO's superior technology is an amazing 20% reduction in fuel consumption. The engine features next-generation electronic control with a Common-Rail Fuel Injection system, and the new hydraulic system cuts energy loss to a bare minimum for a big boost in fuel economy. Compared with our own 6 series, the new machines save 4.4 litres of fuel for every hour of operation. Calculated over the course of a year, that's an incredible 8,800 litres, or about 44 drums of oil. At today's prices, that means a savings of $13,000! The 20% savings refers to the Acera Geospec SK200-8 in standard operating mode, compared with an earlier KOBELCO model. 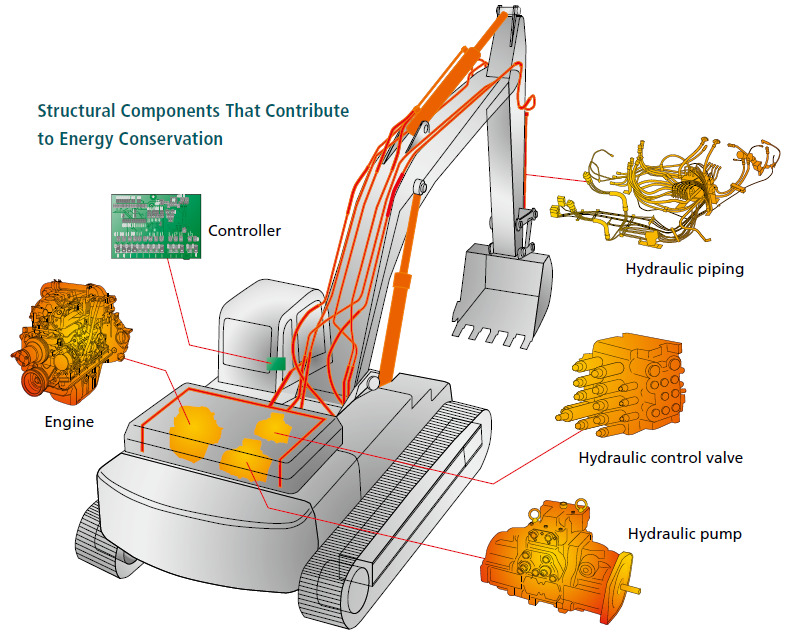 Figures are based on results measured by KOBELCO. Actual fuel consumption varies depending on such factors as type of work, operating method, operator skill, and weather. These data do not constitute a guarantee of fuel cost performance for machines used in the field by customers. Calculations assume 2,000 hours of operation a year, with the price of diesel at approximately $1.50 per litre. Our "KOBELCO Green" machines stand out on any construction site for their beauty and high quality, which is why we earned the Good Design Award two straight years in 2008 and 2009. A perfect marriage of functionality and attractive design, the SK200-8 points the way to the future of construction machinery both in Japan and abroad. The Good Design Awards were established by the then Ministry of International Trade and Industry (the current Ministry of Economy, Trade and Industry) as part of the Good Design Products Selection System (commonly known as the G Mark system). Organised by Japan Industrial Design Promotion Organisation (JIDPO), it is Japan’s only comprehensive program for the evaluation and encouragement of design. In 2008, the SK70SR/SK75SR+ (Plus)/SK75UR and the SK125SR/SK135SR/SK135SRLC/SK130SR+(Plus) won an award; in 2009, an award was given to the SK135SRD, a demolition machine with multi-use main boom.